Keeping tabs on your ward – whether that’s your child or your employee – can reveal very interesting data. In the case of monitoring your child, it gives you greater parental control over what they do on their mobile device; if you’re an employer, it gives you greater visibility into the daily activities of your employees. In recent years, device monitoring technology has taken astounding leaps and bounds in terms of development, and there are now literally dozens of applications and services aimed at giving you more control and more transparency when you’re not around. 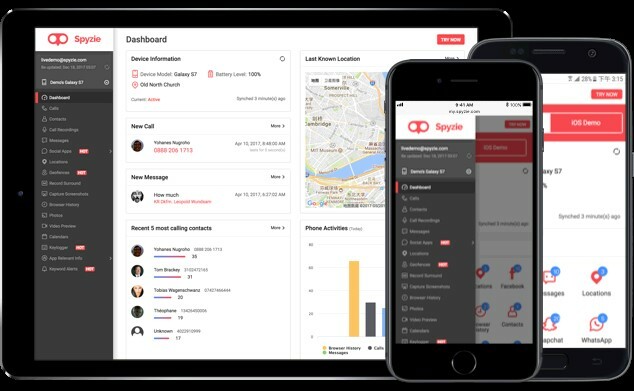 One great example of parent control software is Spyzie, a holistic web application intended to make digital monitoring easy, convenient and affordable. Spyzie was developed with one objective in mind: to give you all the information you’ll need to ensure that your child or employee is on the right track – both literal and virtual. Aside from its robust parent control capabilities, as explained in subsequent sections below, Spyzie gives you timely information about your ward’s physical location. For kids, it’s a question of safety, and for employees, it’s about productivity. In terms of physical monitoring, Spyzie lets you track a target device’s real-time location, and even allows geofencing. That means you can define a perimeter that your child must not cross, and you’ll get an alert if that perimeter is breached. Using advanced Wi-Fi hotspot and GPS location technologies, the application gives you locational information whenever you need it. Why is Digital Monitoring Critical?